Discussion in 'PC Tricks, Tutorials, Softwares And Solutions' started by Tunisblizz, Oct 13, 2016. Unless your computer is powered by Intel’s latest highly regarded Kaby lake processor or your computer is in the future and already running the yet to be released AMD Zen processor, then hanging is something you must have experienced. And I am sure it can get into ones nerves when your computer hangs and you have to keep a timer till it restores to normal. In worse case scenario, it might require you to do a complete restart (i.e. total rebooting) of our computer, and this can be frustrating especially if you are performing an important task on the PC. You just don’t want to reboot, but at the same time, your computer is seriously hanging and you can’t do anything to stop it—perhaps waiting for the hanging to stop is your only option. But how long must you wait every time your computer enters ‘hanging mode’. Well if you are as patient as the prophet — job, then you might wait for as long as the hanging process takes. However if you don’t want to wait or do a total reboot of your PC, then this post is for you. So continue reading to see how you can restart windows explorer, which is the main platform on which windows applications run. Press Control + Alt + Del and the click on task manager or better still, right click on the task bar and click on task manager from the list of items. 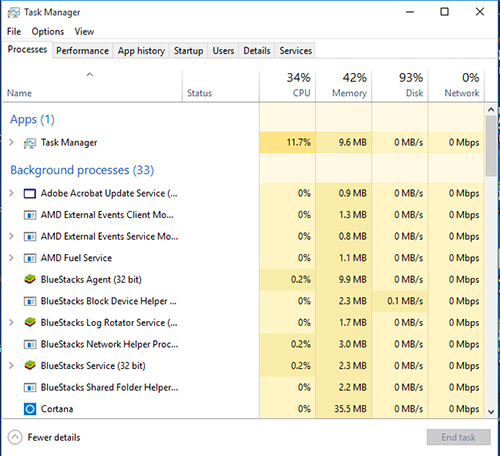 When the task manager opens, click on more details to see a comprehensive list of all processes running on the computer. On the list of all processes, scroll down until you see the process named Windows Explorer. N.B: I am using Windows 10 for this post, and the first three steps above are the same for Windows 10, 8.1 and 8. If you are running Windows 7 and below, follow the first step to start task manager, then click on the tab called Processes. Then scroll until you see the process named Explorer. After scrolling to see Windows Explorer or Explorer, click to select. 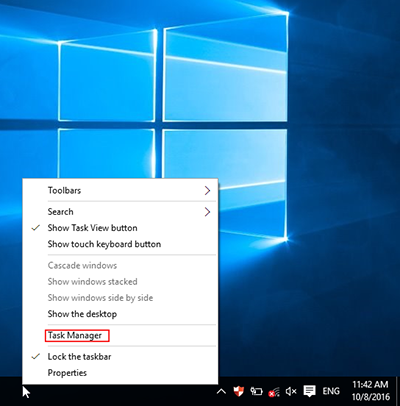 After clicking to select, locate restart towards the bottom right of the task manager. Click on restart and voila your Windows will re-launch just like the way it will when you switch on the PC and your hanging problem is fixed. 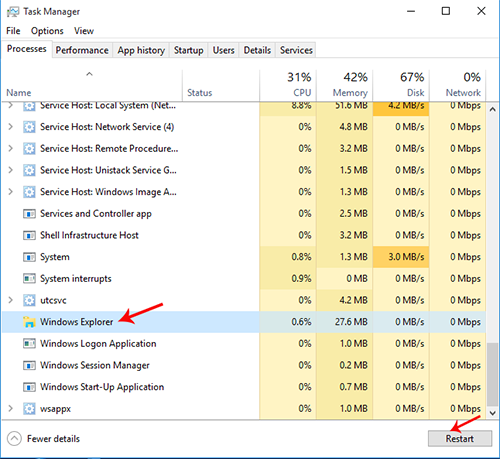 One great advantage of these steps is that even though your windows explorer restarted, the applications running on the PC while restarting will not close, and of course, your computer is not going through a process of total reboot.